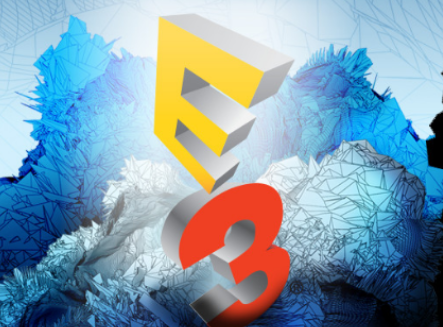 E3 is right around the corner, folks! That is of course exciting news; it means we’ll be finding out about all the big games that we’ll be playing over the next couple of years. Games near completion will be given the full hands-on treatment by everyone that’s there. Games that have just started development will be teased, and leave us to wonder about them over the next couple of years. Behind the scenes deals are done and the entire industry comes together to map out plans for the months and years ahead. It’s fair to say that E3 has lost some of its relevance as an industry event; epitomised this year by the fact that for the first year the event is fully open to the public. But from our perspective as players we’ll have a lot to get excited by, and there will be a bunch of little surprises in there as well. So is there anything in particular that we’re looking forward to? Yep, sure is. Time for the classic “E3 do wants” list! With Let It Die now out there in the wild, it’s time for Goichi Suda to let us in on his next project. He’s already confirmed to be working on a new game for the Nintendo Switch in the No More Heroes franchise, but we’d love to see him go back to some of his older catalogue and touch them up for PS4 as well. Killer 7 in VR would be all kinds of incredible, and though he confirmed to me himself he has no intention on doing a Lollipop Chainsaw Remaster, I can’t help but hope against hope there. 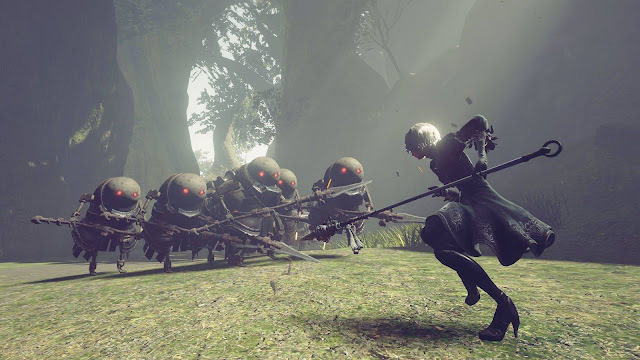 After NieR: Automata was such a success, I’m sure Square Enix would love a NieR 3, but I can’t help but think that perhaps Yoko Taro is bored with that franchise now it’s popular. He strikes me as that kind of artist. Anyway, Whatever console game Yoko Taro works on next is going to be spectacular, and after the success of NieR, it might even finally get the attention it deserves before release. Remember, world, I thought Yoko Taro was one of history’s greatest game makers well before any of you did. It has been five years now since a truly new Dead or Alive game was released. Dead or Alive 5: Last Round was released on the PlayStation 4 in 2015, and of course it looked and played incredibly well, but at the same time this is a game that is started to creak under its age. I know that Koei still has at least a few months worth of DLC costumes to turn out for that game, but boy it would be good to see what leaps the series can take next. Also have Hatsune Miku as a crossover character, please. She’d be the perfect tag buddy for Marie Rose, and the best fighting combo ever. Square Enix’s digital board game, Itagaki Street, is a real favourite at home. Think Monopoly but with a stock market and deeper strategy. It’s a series that has been kicking around quietly for a long time, but got a real boost with a Mario and Dragon Quest crossover title for the Nintendo Wii. 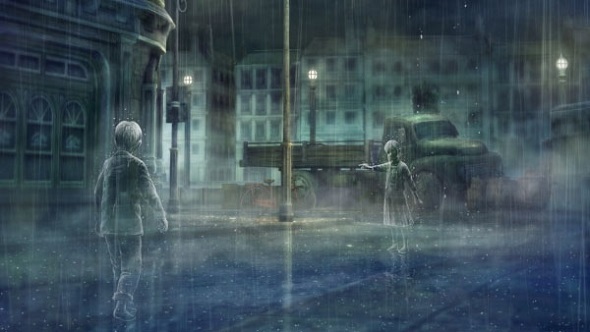 Aside from a mobile phone game (great in its own right), that’s all we’ve seen of Itagaki Street since, but last year Square Enix announced that it was producing a new one for PlayStation 4. I can’t wait to see more of it at E3 this year. 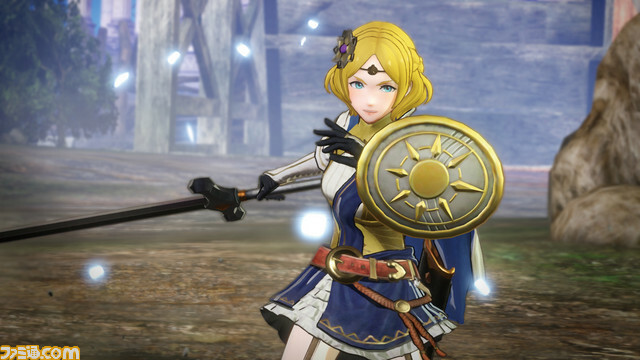 I have thought for the longest time that Fire Emblem and Dynasty Warriors would be the perfect crossover, and when Koei and Nintendo teamed up to do a crossover project with the Zelda franchise I thought that it was only a matter of time before Fire Emblem got the same treatment. The big Switch game in development at the moment, as far as I’m concerned, I am hoping we get to see a lot more of the game in action. On top of that, I’d like to see Lyn confirmed as a playable character. Given she topped the poll as the fan favourite Fire Emblem female hero, we all know it’s likely but I refuse to get complacent until I actually see it. Also, if she could be wearing her wedding dress I’d be even happier. I… uh… like that dress. A lot. 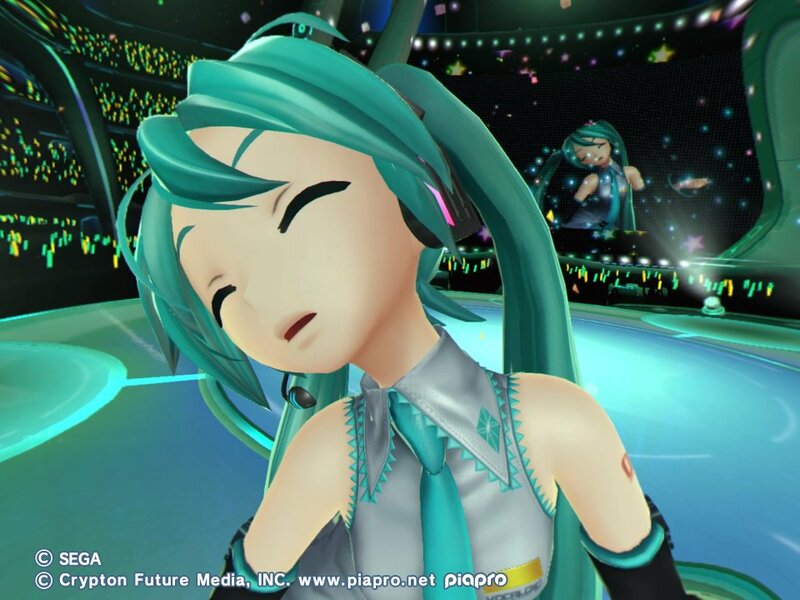 I really liked the Hatsune Miku VR concert “games.” Being able to get up on stage and close enough to Miku to kiss her is an experience that is basically everything I wanted from VR… now we just need some way to get some haptic sensation going so you can actually kiss her and I’ll never bother coming back into the real world again. Jokes aside, I loved the VR concerts, but I’d love for a proper VR game, too. The VR update to Hatsune Miku X allowed you to watch the videos in full 360 – the next step would be to implement gameplay to really take the experience to the next level. 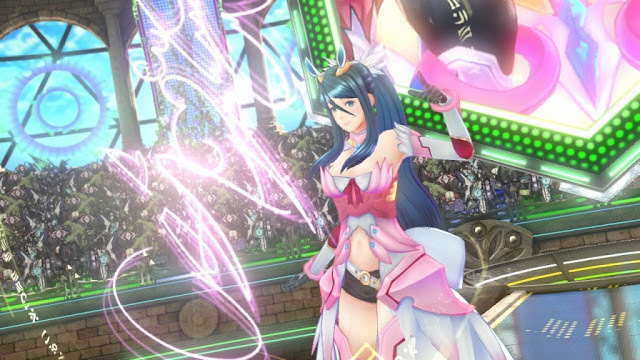 There are a lot of games exclusive to the Wii U that I would happily buy again to have portable on the Switch; Project Zero: Maiden of Blackwater, Tokyo Mirage Sessions #FE, Bayonetta 2, Xenoblade Chronicles X and Devil's Third, to name a few. Very little needs to be done to these games; a straight port and suddenly those many, many people that never bought a Wii U would have a chance to experience them for the first time. Nintendo’s output on that console was better than its sales allowed, so it only makes sense to give them a second run. Sony is one of my favourite AAA-game publishers, because it also invests in a whole lot of smaller, artsy games, and those often end up being my favourites. While everyone else is going to be looking forward to more information on The Last Of Us 2, I’m going to be sitting here waiting for information on games like Bound, Puppeteer, and Rain. Sony, much more than the likes of EA and Activision, understand that games are both art and commercial product, and that people like a variety of experience. Keep it up, Sony. Controversies over Mass Effect Andromeda aside, Bioware is my favourite AAA-tier developer. From its origins in making Baldur’s Gate, to Jade Empire, the Dragon Age series and the original Mass Effect series, the studio rarely lets me down. 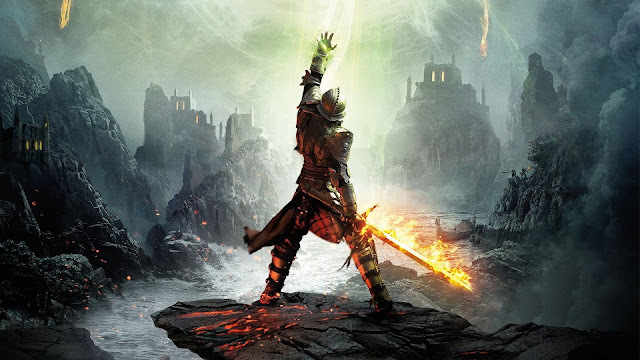 With Mass Effect now, apparently, on ice, Bioware has to be working on something else (while also plugging away at the next Dragon Age), and I’m looking forward to seeing what it is. A new IP that isn’t built around eSports would, at this point of time in the games industry, be very welcome indeed. 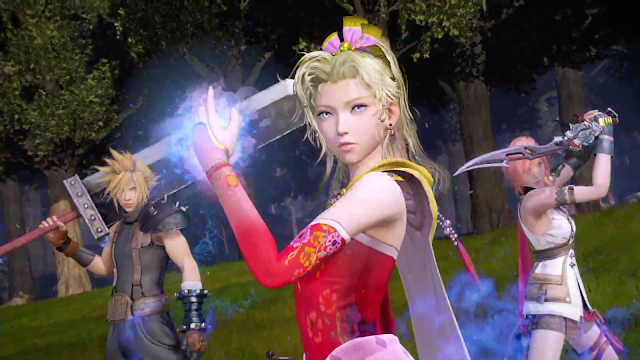 Last up, I would love to see Square Enix announce that Dissidia Final Fantasy was finally coming to consoles. And getting a western release. For those who are not in the know, Dissidia Final Fantasy is a fighting game that pulls all of the Final Fantasy heroes and villains together for an almighty brawl; think Smash Bros, but a different franchise. There were two games in this series on PSP, and they were two of the best games on the console. 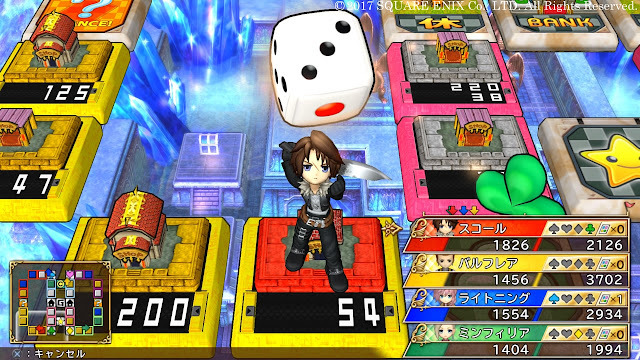 Then Square Enix developed a Dissidia Final Fantasy arcade game. Now, I played this in Japan, and it’s absolutely incredible. It’s time that the company made the long-expected console port official.